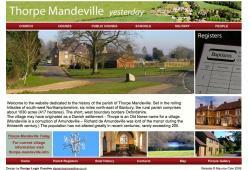 The following links may be useful for people that live in, work in and visit Thorpe Mandeville. If a link is not working, please let us know. Unfortunately there is no bus service for the village.